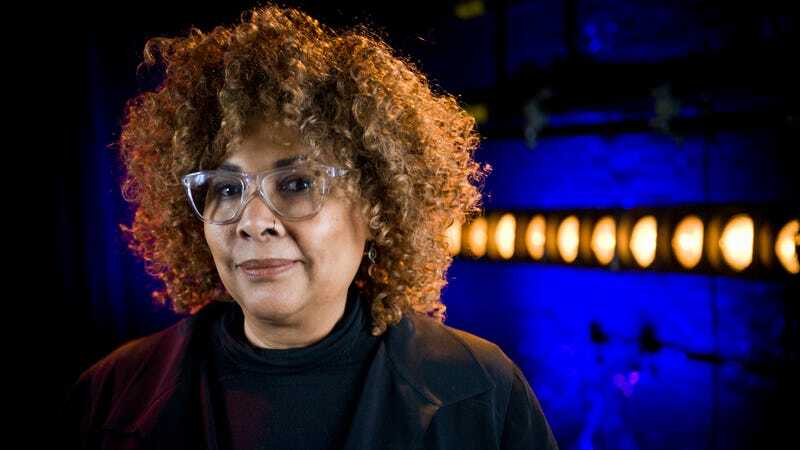 Director Julie Dash poses for a portrait at the Roger Ebert Film Festival on Day four on April 21, 2018 in Champaign, Illinois. Criminally underrated and mother of black film, Julie Dash is tackling a much-needed biopic. As the Daughters of the Dust helmer told Shadow & Act at Sundance, she’ll be directing a biopic about Dr. Angela Davis. Filming is set to begin in June. The biopic will come from Lionsgate, with Brian Tucker confirmed as the screenwriter and Sidra Smith as a producer. Davis will reportedly be involved in the production as well, so it’s good to know this biopic has her blessings. It’s what we’d hope with any biopic: that it has the subject’s blessing—or if they’re no longer with us, their family’s. Dash made film history in 1991 when Daughters of the Dust became the first feature film directed by a black woman with a general theatrical release in the U.S. Her debut film is currently available to view on Netflix. Black film buffs have been awaiting a second feature from the filmmaker, and this biopic is it. Davis, who recently celebrated her 75th birthday on January 26, was a member of the Communist Party USA and targeted by the Reagan administration when she was falsely accused of conspiracy to murder in 1970. Today, Dr. Davis is a professor emerita at the University of California, Santa Cruz, where she taught within the school’s History of Consciousness Department. Most recently, the Birmingham Civil Rights Institute announced they would bestow their highest honor upon Davis, the Fred L. Shuttlesworth Human Rights Award, which came after a bit of a messy back-and-forth. Davis’ outspoken criticism of Israel’s human rights violations against Palestinians brought controversy, causing the institute to rescind their initial offer. The rescission was then reversed, with the institute offering Davis an apology.